I got a chance to play around with the new Huawei P9. It’s co-engineered with Leica and meant to reinvent smartphone photography. The thing that jumps out the most is the dual-lens at the back of the phone. That’s right, this smartphone has TWO lenses instead of the usual one at the rear. It also has 2 sensors so you can capture more light. I took it out to snap photos during the weekend. 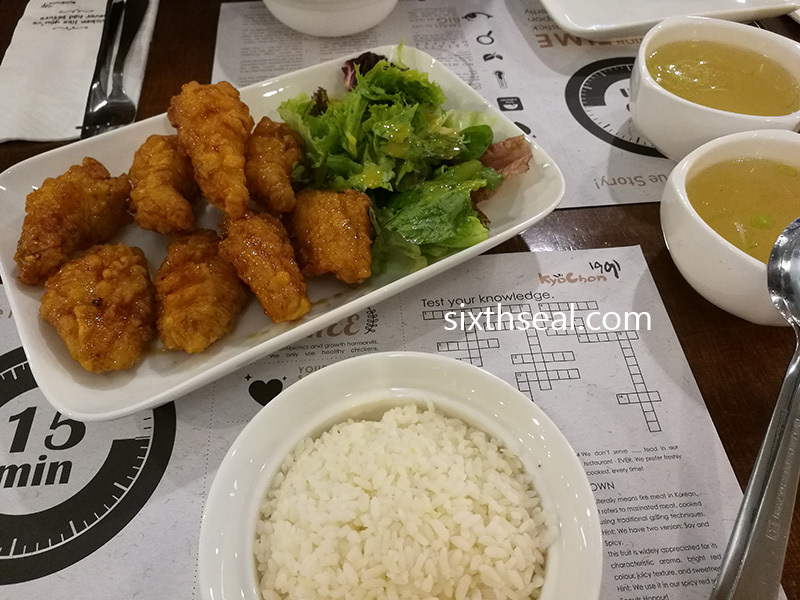 Nowadays, smartphones are primarily used to take photos of weekends, food and miscellaneous daily happenings to post to Instagram, Facebook, blogs. That’s what I use mine for anyway, and the image quality so good that I don’t feel the need to carry a regular digicam or dSLR anymore. It’s still not as good as a dSLR, of course, but the Huawei P9 is really close, close enough that I’ll choose the portable smartphone any day. The Huawei P9 has dual 12 MP cameras with a professional mode! This allows you to control all the aperture, shutter and ISO settings and save photos in RAW so it feels like a dSLR. The technologies packed into the smartphone camera is quite impressive too – there are now built-in dual-core ISP (image signal processors), professional DSP, and depth-measurement ISP for improved image focusing, speeds and processing. This allows you to take action shots of fast moving objects in low light conditions. There are several presets you can use to take good photos well, like the HDR mode. 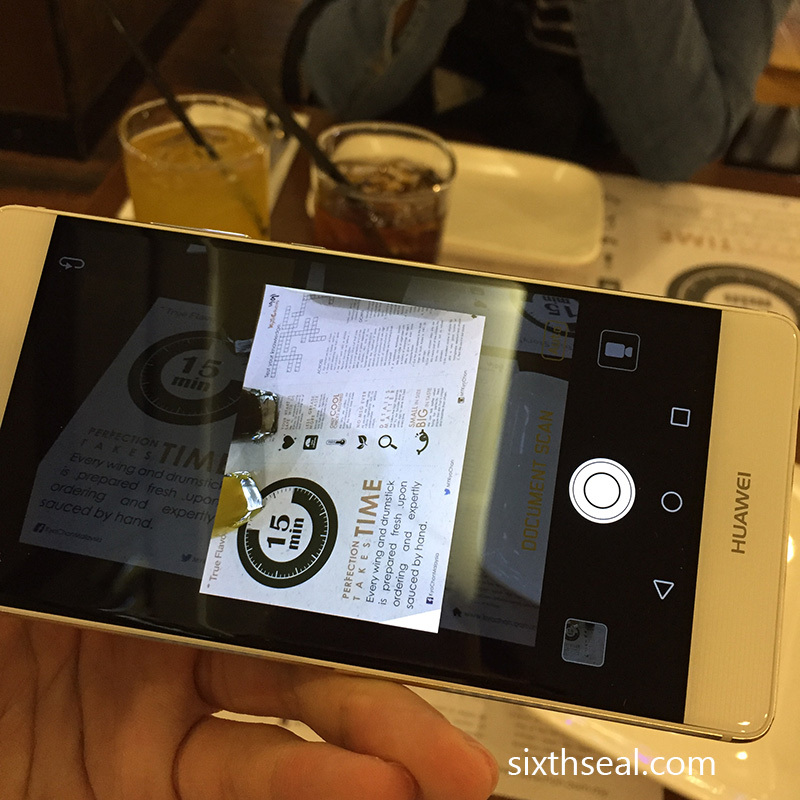 The P9 has a feature which automatically takes documents too! I found that quite useful. The lens are co-developed with Leica so the image quality is really good. I love how bright and vibrant the colors are. I got this new Pocky Brazilian Orange just to show off the intense color production of the camera. I can’t go back to using faded looking smartphone cameras after this beautiful shot. 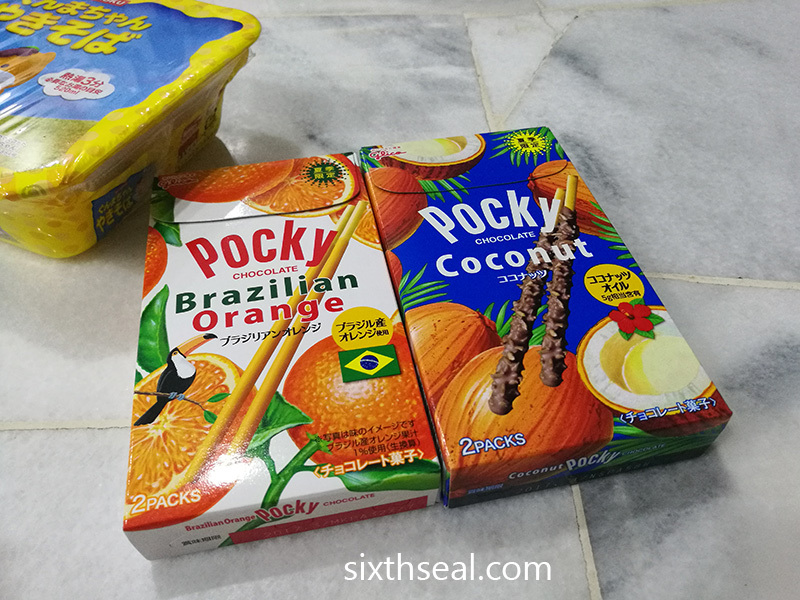 Oh, and the Pocky is pretty good too, it’s a Japan import to celebrate the Rio Olympics and it tastes intensely orange-y. This is the Panoramic mode. The camera will also auto-detect faces and focus on them. There’s also a 8 MP front facing camera for selfies too! This was taken in pure darkness and the built-in flash went off, illuminating my face well enough to temporarily blind me. It also colored my face pretty decently, when you keep in mind that this was taken with zero other lighting, it’s really impressive. I remember when 8 MP was a lot for a rear facing camera in a smartphone and now even the front-facing ones are 8 MP. Amazing! The Huawei P9 also has a dial for “Beauty” which can go from 0-10. You remember those third-party apps that some teenagers use to artificially enlarge and add shine to their eyes and add a BB cream smooth sheen to their skin? It’s all built-in now – no need for 3rd party apps. I took one as a demonstration. This is ultra boosted up to a 10 so it looks mildly ridiculous. I personally don’t approve of apps like this coz I don’t like how it looks. I don’t use them myself but that may be due to the fact that I already have nice eyes genetically (thanks mom). I can see that a lot of people like them though, so to each his/her own. The smartphone also does everything well. I like the automatic step counter and the vivid 5.2” FHD display. The 3,000 mAh battery is pretty useful too. I don’t need to recharge every few hours and it works for up to 24 hours at full capacity in my daily tasks. There’s a fingerprint sensor and a virtual triple antenna with WiFi+ 2.0 which switches automatically between HSDPA+ and WiFi networks. I love the feel of the aerospace-class unibody aluminum and 2.5D glass. 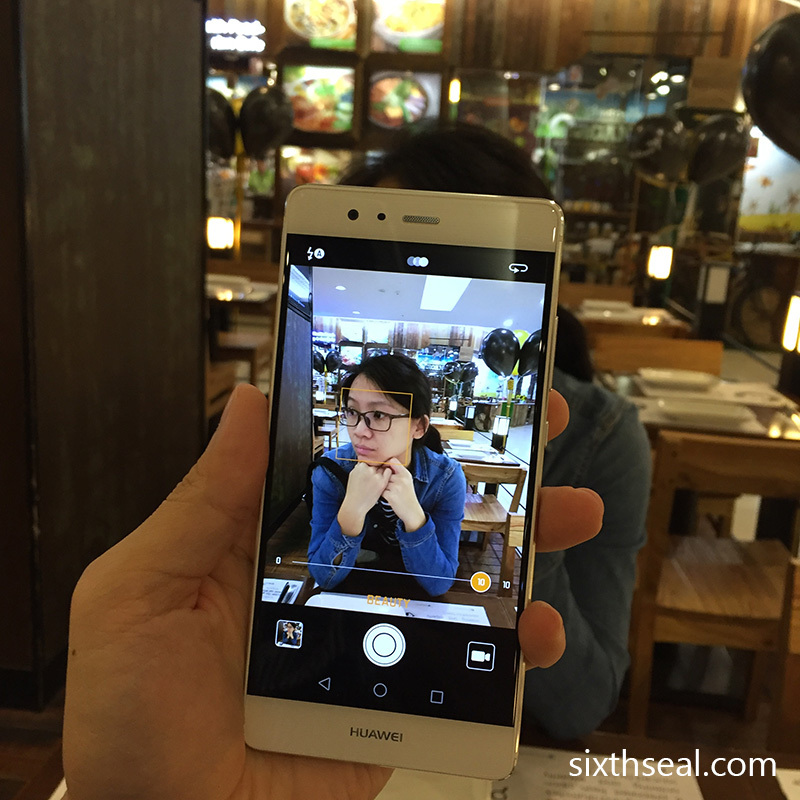 The Huawei has all the functions of a modern smartphone you’ll expect and more. I actually saw the Huawei P9 advertisement in the cinema and thought it looked like a brilliant smartphone. As the smartphone market matures, non-camera technical specifications have increased so much that it makes little difference even in the most graphics intensive games. As such, it falls to other things to differentiate one smartphone from another and I like the direction the Huawei P9 is taking with the camera. It’s the most useful thing on a smartphone for most people and I appreciate how the superior camera and lenses allows me to capture high quality photos in such a small and sleek handset. I have been navigating through floating platforms, jumping on evil robots and trying to avoid deadly lasers for the past few weeks. Yup, it’s the Horlicks NutriQuest Malaysia game for iOS and Android! I’ve been fiddling with it when I have a bit of free time on my smartphone and have progressed quite far in the game. Here’s my review (with a few tips and tricks to help you breeze through it if you’re having a bit of trouble). The starting levels in the City are quite easy. The virtual camera pans through the entire level from the end to the start and zooms into your character the first time you drop in so you can see the layout. There are actually TV screens at the start of some levels (see picture above) and they show you how to learn new mechanics e.g. jumping higher or picking up boxes. There are also convenient arrows which shows you the proper way to go. However, it’s right to ignore these levels sometimes as there are secret areas you’ll need to go to in order to collect all the coins and stars. Here’s one example. You can only access this secret area (which is inside a building) if you double back and ignore the directional arrows. There are plenty of “save points” like the arrow above – make sure to use them frequently as you might fall into a laser grid or bump into one of Mr. Greedy’s robot henchmen! You’ll be able to start again here with all in-level progress saved if you fail. There’s a protective bubble in the first 2-3 seconds after you respawn so make the most of it. It makes you invulnerable for a while so you can get through the difficult bits that foiled your attempts last time. The Horlicks Stars are the most important things in the levels (aside from coins and bags of coins). You need them as a measure of success and if you don’t get enough, you can’t progress to the next level e.g. Jungle. Make sure to grab all the coins you see too, especially the big bags! You’ll see how many coins and Horlicks Stars you collected at the end of each level. There are usually 3 stars per level. The later levels will be more difficult as there are Metaloids which can kill you. The trick is to jump on them to kill them first. Be sure to periodically upgrade your character. You can upgrade three (3) boosters – Tall, Strong, and Sharp. I suggest using Tall first for your first run-through and Sharp last as it only affects the VR Levels (more on that later). You can also upgrade your pickups. 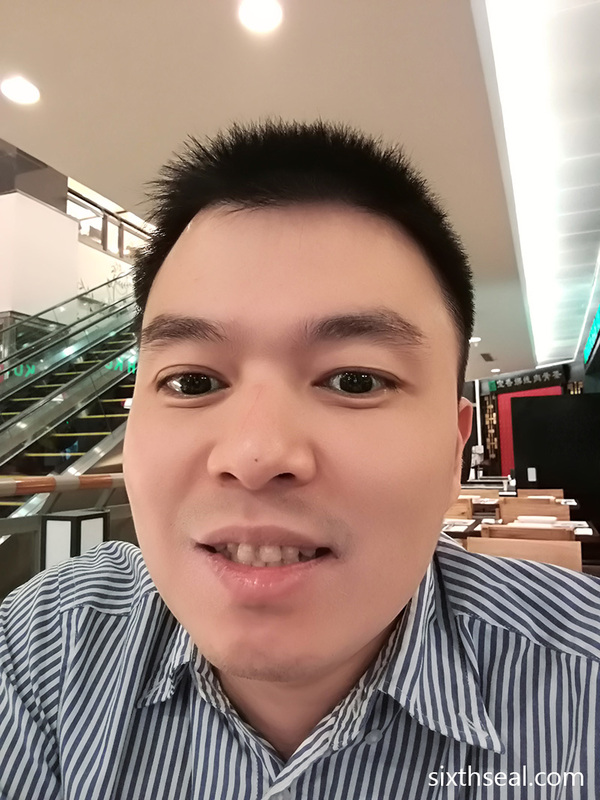 Health is very important, and Magnet can be useful if you have trouble with side scrolling platform games as it helps you pick up coins and stars. There is a screen for inputing the Horlicks NutriCoin codes you get from Horlicks packs too! Horlicks Nutricoins can be used to redeem Horlicks Nutriquest prizes such as character keychain, baseball cap and watch. You can redeem them through the Horlicks website here. There is also a character change screen so you can pick the hero that you like from the 4 available. This is just an aesthetic choice but it’s nice for Horlicks to represent minors and female characters. The progress screen shows how far along you are – there are 10 levels to a map and 4 maps in total (City, Jungle, Factory, 4th Dimension) for 40+ levels! You can also pick up boxes in later levels. These boxes can be thrown at Metaloids to kill them. Another important thing to watch out is for the VR Terminals. This allows you to enter into a bonus level where you get to pick up coins and stars! The Sharp attribute would be important here as it allows you to stay longer in the level. Some are quite hard to finish so I suggest you do as much as you can first, then go back and upgrade Sharp and try again for more time. Watch out for boosters in-game which temporarily gives you powers to be Taller, Stronger or Sharper! There are some places which requires keys to pass and it would be shown with a padlock. Just grab the key and it’ll open. Enjoy the game! Hope you had as much fun as I did in your quest to be Taller, Stronger and Sharper. You can download it for iOS or Android. Okay, maybe wardriving is the wrong definition, but it did bring back memories of doing exactly this back in the early 2000’s when WiFi hotspots were hard to come by. You’ll be surprised at just how many unsecured WiFi Aps there were back then. Back to the point, I have armed myself with an iPhone 6 with a U Mobile SIM card and the Open Signal app to see how the network performs. I was quite surprised when I started up the new iPhone 6 and saw the coverage was just limited to 3G at my home. Not to be deterred, I started my adventure by going to Damansara Utama and was puzzled to see it was *still* in 3G in an area I know has 4G coverage. Mystery solved! 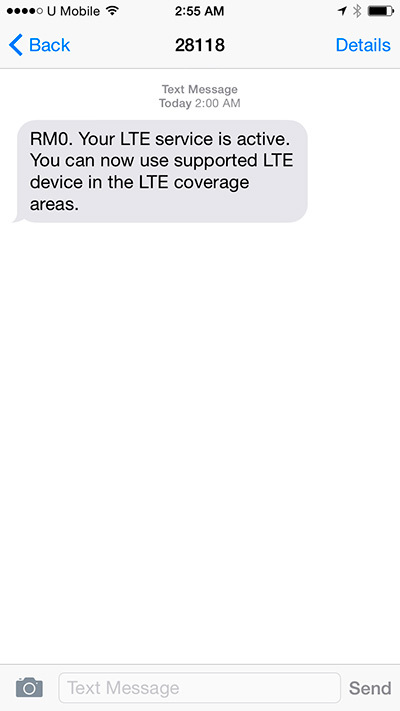 It turns out that it takes a couple of hours before 4G LTE is enabled when you first use the SIM card. I went to TTDI to check the entertainment outlets near boatHouse and found out that the Taman Tun Dr Ismail area is covered by 4G as well with a very commendable 12.92 Mbps upload. 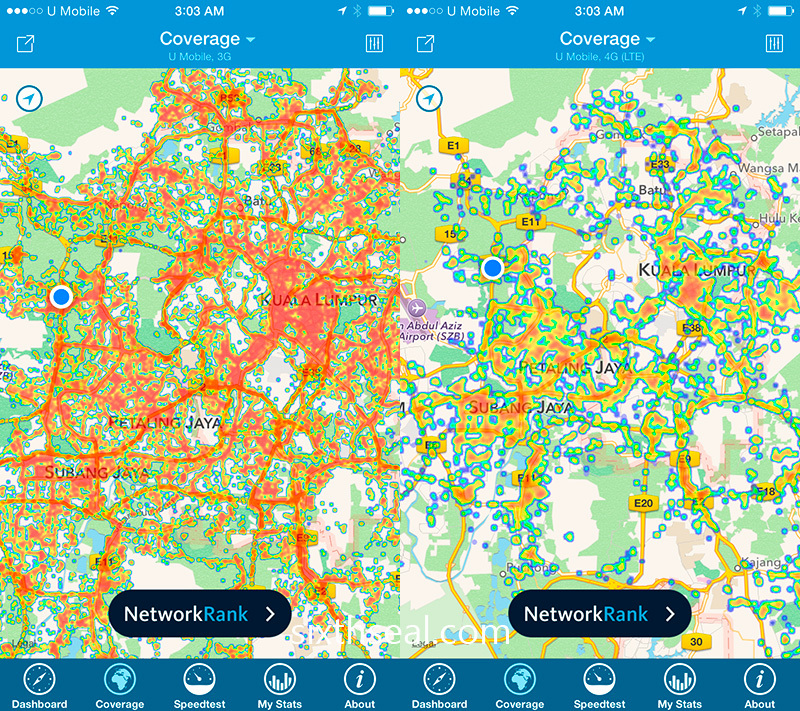 I swung back and went to Mutiara Damansara and monitored the coverage map along the way. Yes, there are gaps in 4G LTE coverage, with 3G only areas in between, but for the most part, the densely populated and built up areas are all 4G. The Sunway Giza area in Kota Damansara is also covered by U Mobile’s 4G coverage so I thought it was strange that my place (which is just opposite the mall) is not. This sounds right according to the U Mobile #datastrongnetwork media briefing I went to. U Mobile has completed the first phase of their 4G LTE network ahead of schedule with 1,000 new 4G sites. 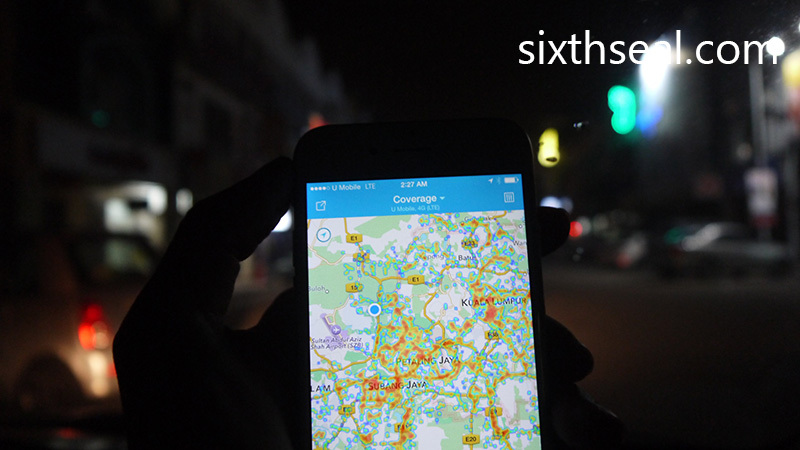 The coverage is not just limited to Klang Valley, but also Putrajaya, Seremban, Port Dickson and Johor Bahru. I’ve heard the top brass there share their philosophy on the 4G rollouts and it’s quite solid. They plan to implement 5,000 new 4G LTE sites over the next 5 years, with a concentration on urban areas. I thought that was a good plan as people would want to have high speeds at places where they’re most often at during work and play and that means high density coverage in high density areas. I’ve also been loaned an iPhone 6 with a U Mobile prepaid SIM card to test it out for myself and the results of the tests are very promising. The areas I’ve driven too has faster Internet speeds than most people have at home (discounting myself, I’m on a very expensive high speed fiber line). 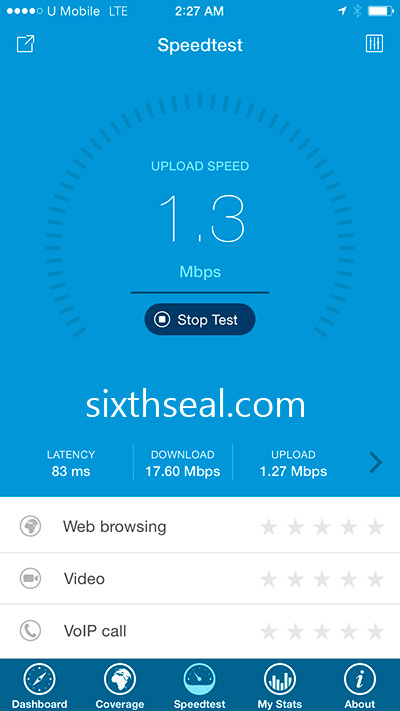 I see areas around me having up to 17.60 Mbps speeds (!!!) 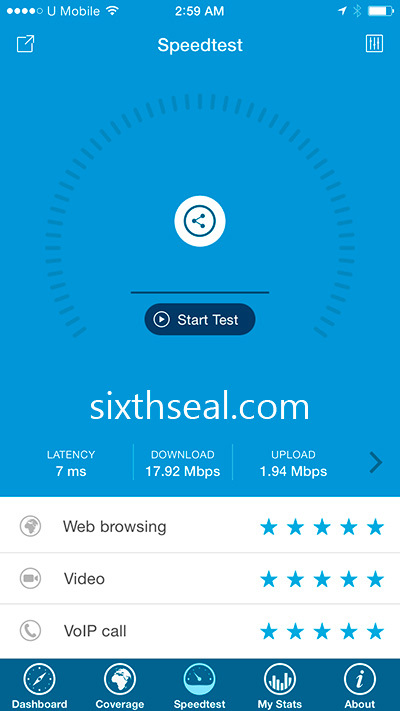 and that’s A LOT faster than 90% (maybe even 99%) of most home broadband solutions. It even rivals my 30 Mbps home fiber line! I even tried using it as a Personal Hotspot in Mutiara Damansara (coz at the time I didn’t know my home had 4G LTE) and it loaded everything on my notebook fine. 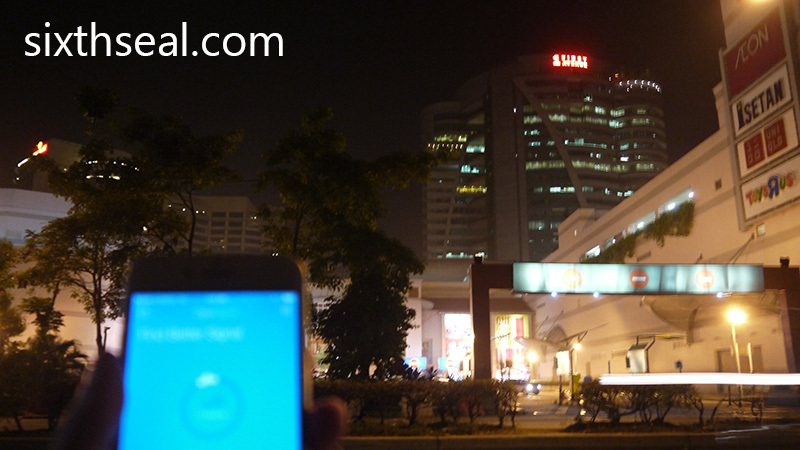 It’s perfect for data-on-the-go – U Mobile has truly solved their teething problems and become the only data-centric telco in Malaysia. It was quite an enlightening experience. I learned that there are lots of places with 4G LTE coverage around me. I know the U Mobile 4G coverage is good in KL but it was nice to find out that the 4G areas extend to the outskirts of Petaling Jaya and Shah Alam. 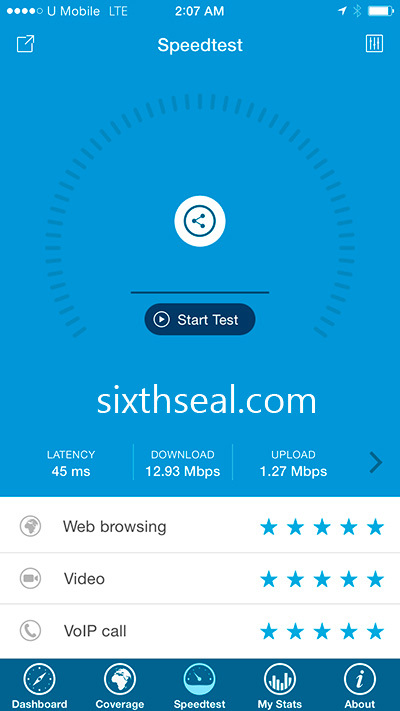 I verified it for myself during the late night real world testing – the data was fast and reliable with low latency. When I started out, I didn’t expect much from the U Mobile network. I have heard some negative things about it (these were all a couple of years ago) so I took it with a grain of salt when they said all the overload issues in the past has been resolved. I am pleased to report that this is actually true – the U Mobile 4G LTE is extremely fast and consistently comes in as the top performer of all four major telcos (as shown in Open Signal). I have since used it for close to a month and have been very happy with my experience with the U Mobile data network. I tend to use a lot of data from gaming (play a lot of Hearthstone) so I want a fast and reliable data service when I’m not on my premium connection at home. To be honest I thought I didn’t need a fast and reliable network when I’m out and about but it turns out that expectation (or lack thereof) is a learned behavior. Ever since I’ve been on the 4G LTE network of U Mobile, I have raised my standards and expect my data to be fast even when I’m out. I want the smooth YouTube streaming I’ve been getting for the past month, the seamless loading of Facebook, the fast Instagram refreshes and all that. I’ve learned not to expect it with my previous telco but now that I’ve been exposed to real speed, I am expecting it now and that’s why I’m using U Mobile as my primary line. I also found out that lok lok trucks are still around at 3 am in the morning. 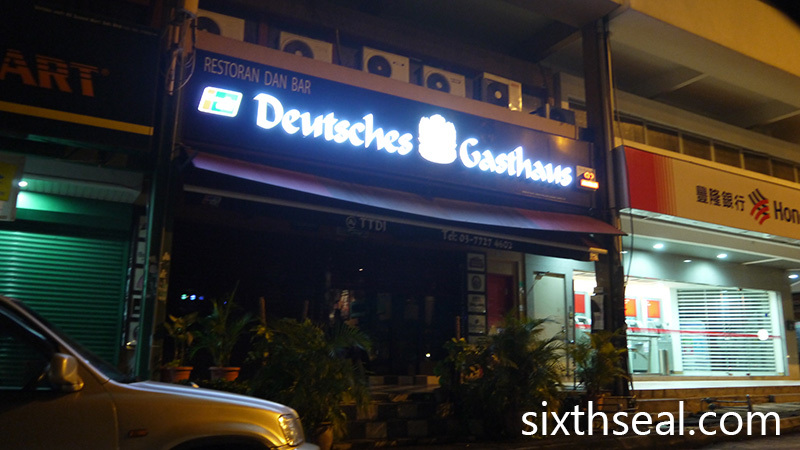 I was hungry after all that driving and ran up a RM 16 bill here. Seriously though, it was a good strategy for U Mobile to loan the phones and SIM cards for testing, personally I’m impressed with the network and will switch over to the Hero P70 package to save myself from the current prices I’m paying with another telco. 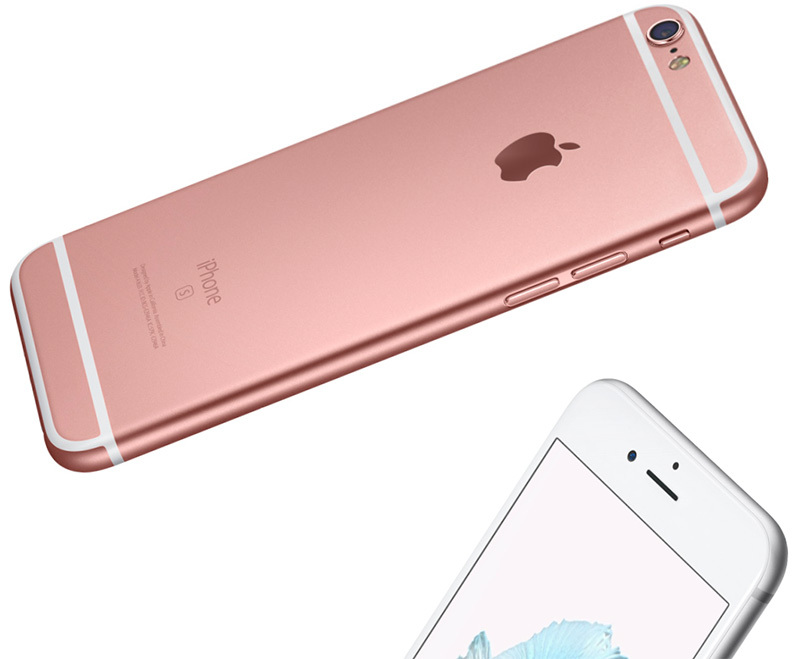 U Mobile new iPhone 6s / iPhone 6s Plus plans allows everyone to own one with zero-deposit no-credit-card installments! U Mobile is one of the launch partners of the iPhone 6s and they’re offering a great deal with their all-new Flexi U MicroCredit. 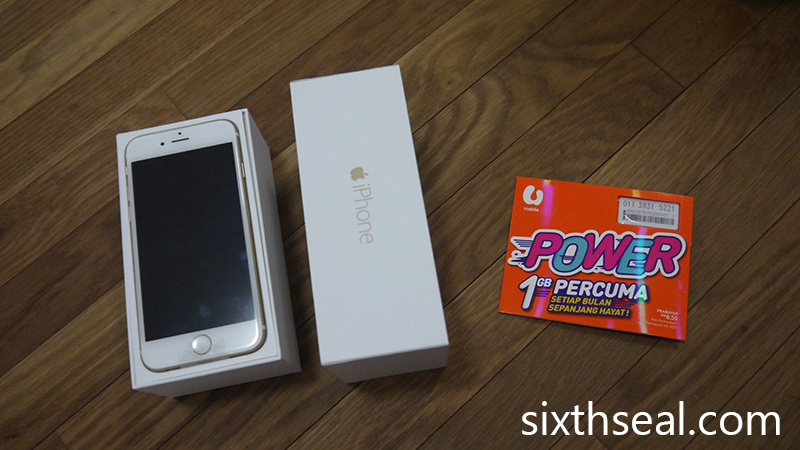 You can own a brand new iPhone 6s or iPhone 6s Plus with no deposit, no collateral and no credit card required! You just need to pay for the device over time. This applies for both postpaid and prepaid plans. I’ve gone through this plan and it’s very innovative – they’re the first to allows anyone, and I literally mean everyone, to own an iPhone 6s or iPhone 6s Plus. This level of affordability based on your means opens up possibilities for students and young adults who don’t own a credit card as well as working adults who wants some flexibility in payment terms. 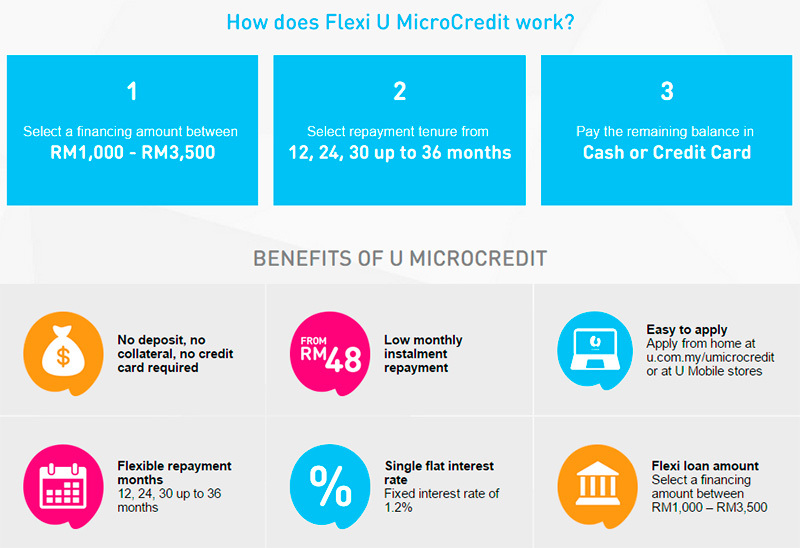 The best thing about the U Mobile Flexi U MicroCredit is the ability to choose the financing amount (RM 1,000 to RM 3,500) and repayment tenure (12 months – 36 months). That means you’re the one who selects the amount of financing you need and the number of months you want to repay the installment. 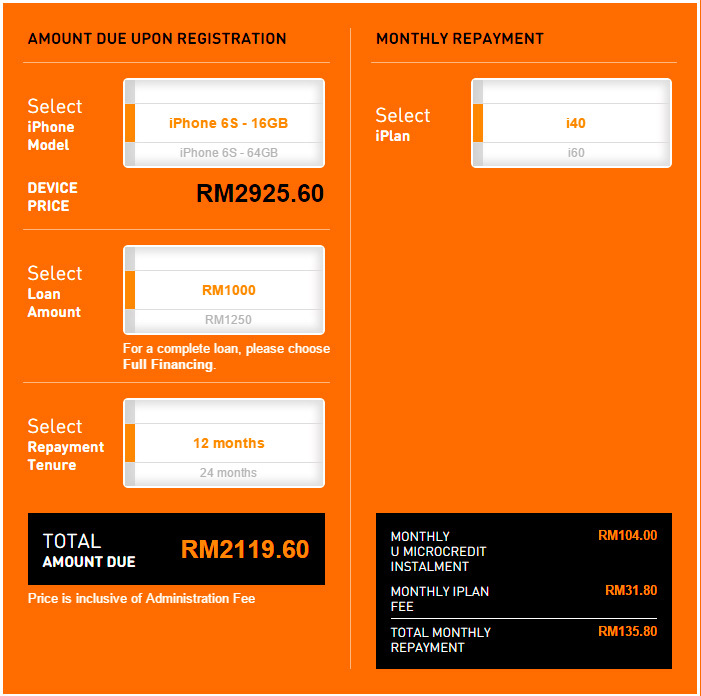 The affordable monthly installment starts from just RM 48. You can even elect to pay in cash if you don’t have a credit card. There’s also a Full Financing option for the people who wants a complete loan. 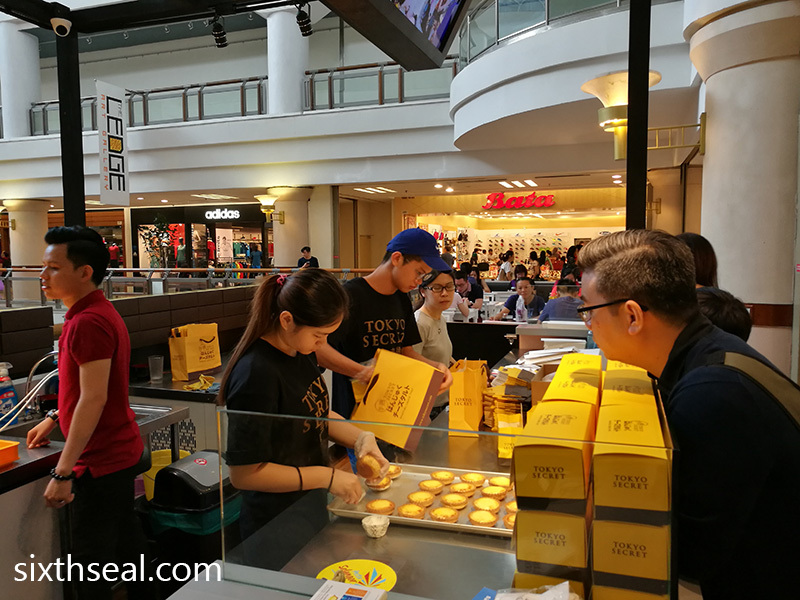 The prices are all inclusive of GST and the above calculation is based on a fixed interest rate of 1.2% for Flexi U Mobile MicroCredit and an interest rate of 0.84% for full financing. 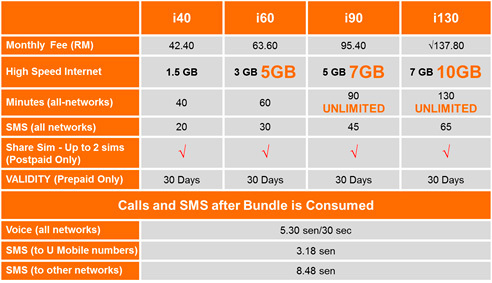 The plans come with increased data allowance from i60 upwards with unlimited calls if you go for the i90 plans and above. They also have a clause called Contract Freedom which allows you to terminate your contract with zero penalty fee for postpaid subscribers! Of course, you’ll need to pay back the subsidy for the remaining number of months left in your contract but it’s still a pretty sweet deal if you decide you want to change your mind. There’s an upfront payment for prepaid subscribers but postpaid users who pay via credit card and subscribe to auto debit for their monthly commitment will have the upfront payment credited back to them over 24 months. 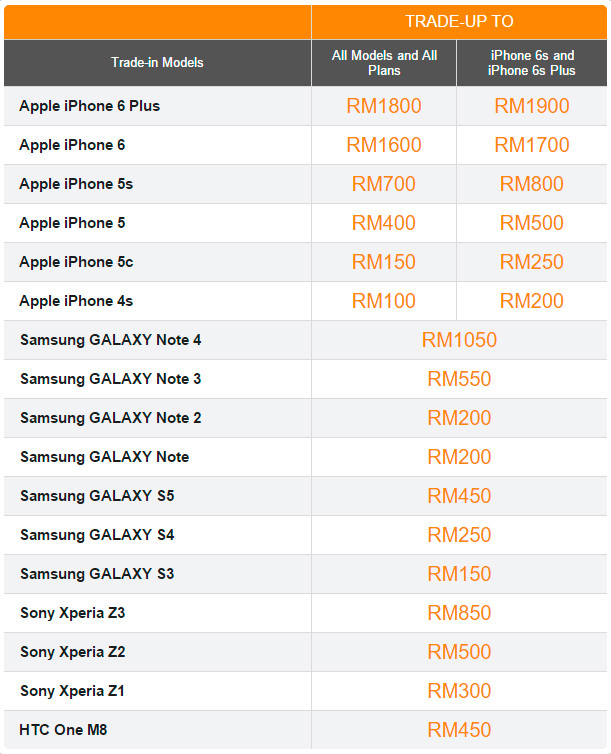 U Mobile also has a trade-in offer where you can give up your old smartphone in return for rebates up to RM 1,900! You can apply for MicroCredit here (or walk into any U Mobile branch) and collect your iPhone 6s or iPhone 6s Plus from a U Mobile branch or dealer. 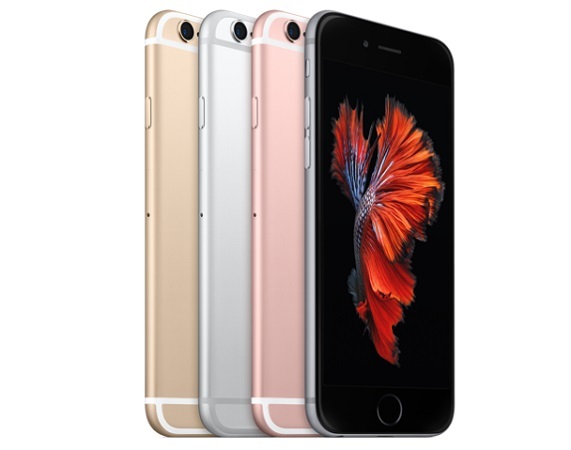 Get more details on their iPhone 6s and iPhone 6s plans and Trade-In Offer and own your dream device now! 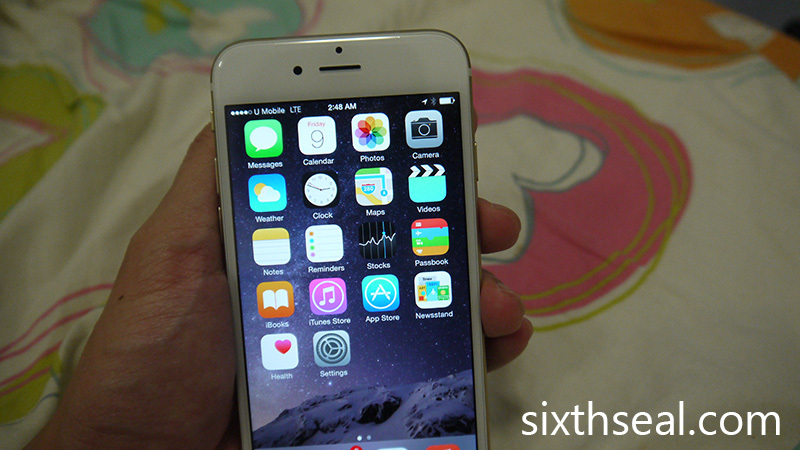 Trade-in and get RM 650 cashback! 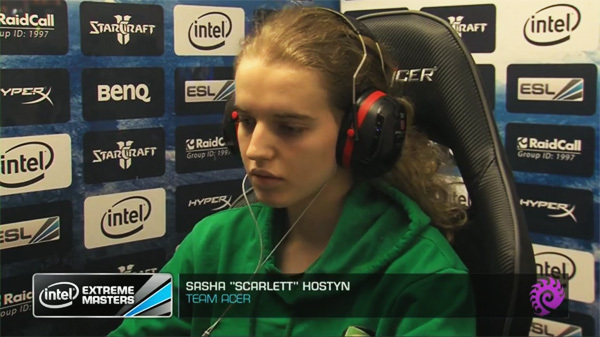 I’ve been watching the Intel Extreme Masters 2013 that was held in Singapore recently. 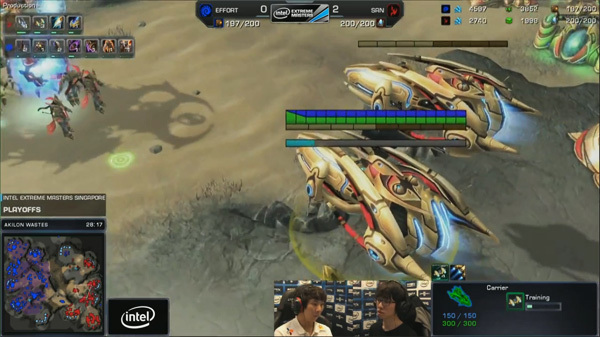 It’s one of the biggest Starcraft 2 (and other electronic sports) tournaments of the year. It got me really interested in playing Starcraft 2 on ladder again but unfortunately, my laptop is too slow to run Heart of the Swarm. I love the simplicity of this – there are just three HP models for you to choose based on your lifestyle and neeeds. The models available will start from RM 1,349 and the higher end touchscreen model will be yours for RM 1,749 after cashback! The best thing about this is that they have an Intel Core i5 processor, Windows 8, and an nVIDIA GeForce GT 740M which will allow me to play Starcraft 2, watch all my favorite movies, blog and do video editing! It’s everything I need in a laptop for just RM 1,349 – that’s less than 5 dining-out sessions if you think about it! The Intel Core i5 processors in the laptops are the new 4th generation chips. 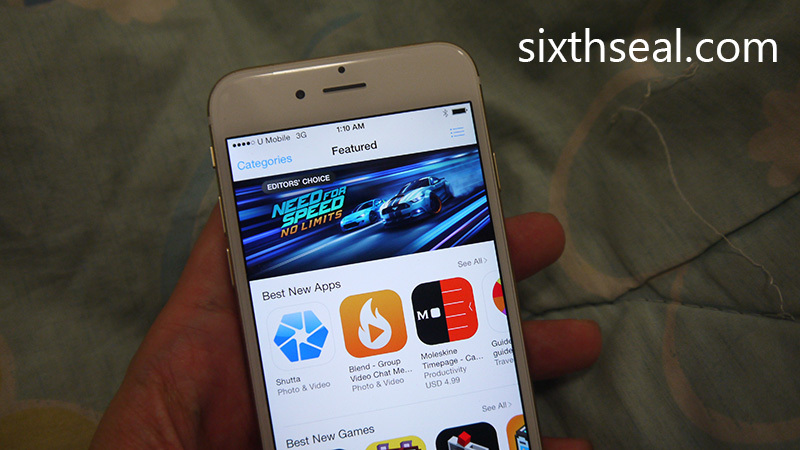 That means vastly improved graphics, performance, battery life and security. There’s support for Windows 8 Connected Standby and it’s the biggest improvement to battery life in history, which means that the #1 concern of laptop users is now addressed – you can run your notebook for *a lot longer*! The participating resellers are Thundermatch, SNS and MTCS. After you purchase the three (3) qualifying models – HP Pavilion 14-n060TX (Mineral Black), HP Pavilion 14-n059TX (Silver), HP Pavilion Touchsmart 14-n049TX (Silver) – you just need to login to www.tradeupmypc.com to register for the trade-in program. Approval will be granted within 3 days and once the claims are approved, you just need to courier your old laptop to the designated recycling center. Once the technician at the recycling center to checks your old laptop and approves the trade-in value, the money will be deposited right into your back account directly so there’s no need for you to run around. The trade-in mechanics makes it very easy and simple for you! Plus, you also get the chance to win a Vespa worth RM 12,000 when you purchase the three models listed above! That’ll be the icing on the cake, along with the RM 650 trade-in cashback! You can get more information about the Vespa contest at the Intel Vespa contest website. The Vespa contest ends 31st December 2013. Remember to get to form from the participating resellers or email gentoday@in2ideas.com for more information. The trade-in program runs till 31st January 2013. 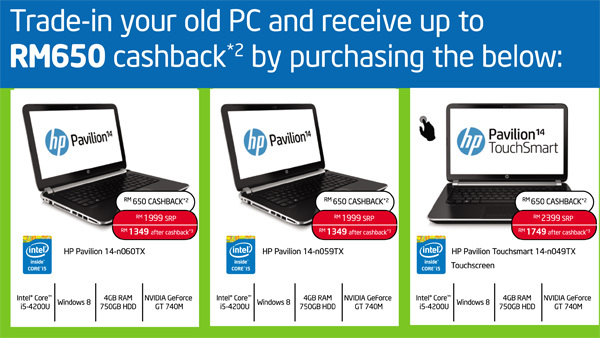 Surf on over to www.tradeupmypc.com to get more information and the list of participating retailers for this awesome RM 650 cashback! You might have heard about this new wonder device. It’s not just a phone, but a high quality digital camera! It has everything except the kitchen sink…which leads us to the next point. Xperia™ Z1 is not just water resistant, it’s waterproof! To illustrate that point, I have submerged it in 6 inches of running water in my (you guessed it) kitchen sink. It still works perfectly and I have sent a joke text to my better half asking her where my phone is. Haha! It’s actually waterproof up to 1.5 meters for 30 minutes. 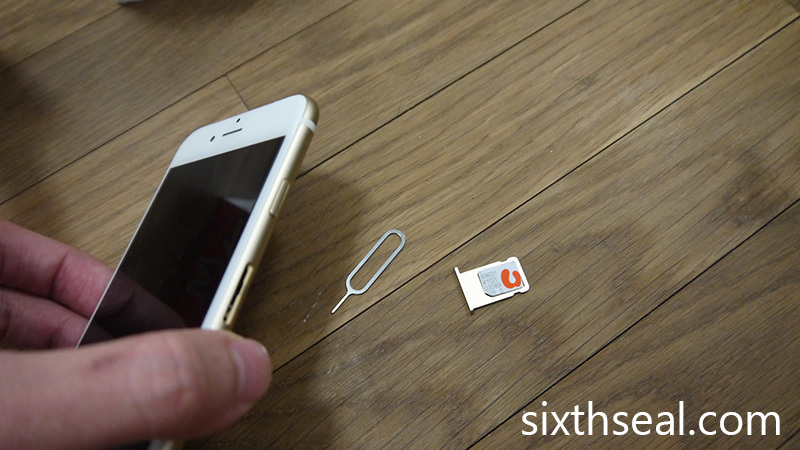 This is achieved by flaps covering the microSIM, microUSB port, microSD card slot. In a smart move by Sony, the headphones jack in the Z1 doesn’t have a flap you need to keep closed. 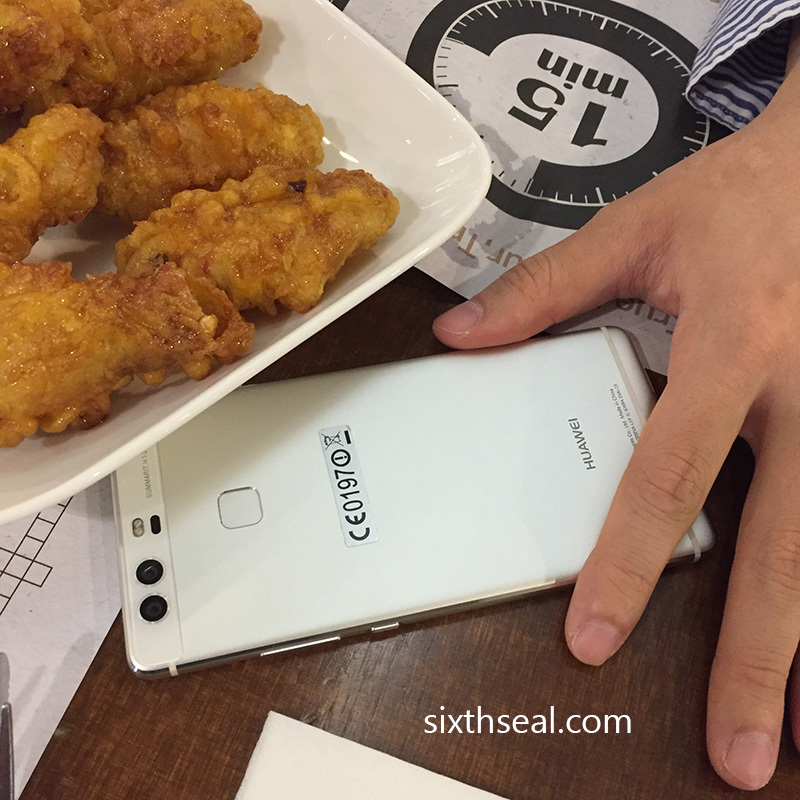 It’s rated at IP 55 and IP58 which means it’s not just waterproof, it’s also dust resistant! The Xperia Z1 is powered by a large 1/2.3” 20.7 MP Exmor RS™ mobile image sensor, Sony’s award winning G Lens (the same kind you’ll find in their conventional compact digicams) and their tried-and-true BIONZ™ for mobile image processing engine. I bought the Sony Xperia S when it first came out and one of the things I noticed is that the night mode takes a huge toll on the processor, which causes the screen to lag. This doesn’t happen anymore – the Xperia Z1 has its own dedicated processor! The Xperia Z1 takes awesome photos, and handles the tricky light-and-dark situations well with the HDR mode. It also has four major Social Camera Applications to deliver new experiences and there’s a widget which allows you to put that right on the screen by default. This is a “visual search” feature that provides related information on landmarks and other items such as books, wine or even groceries simply by capturing them with the camera. It’s like Google and Wikipedia combined, except you don’t type in your search string but take a photo instead! …and the Image results! It works perfectly! 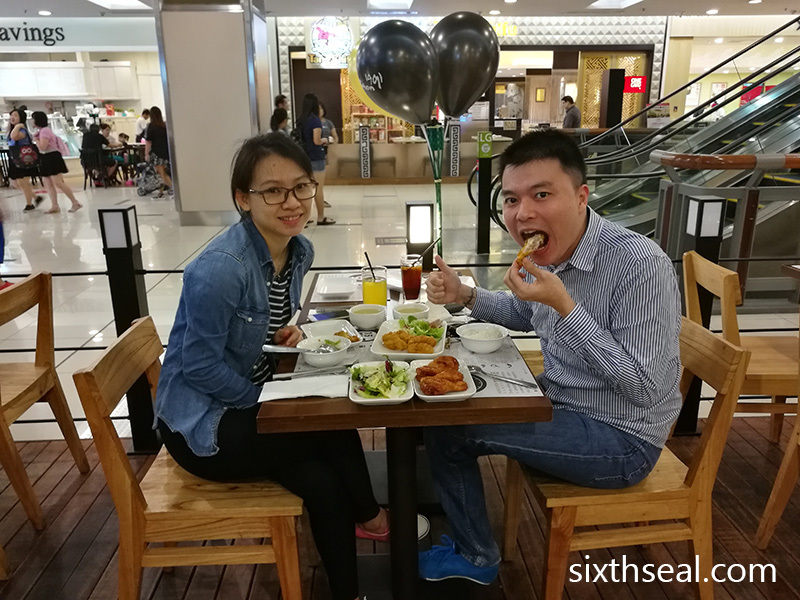 My favorite feature by far – the Xperia Z1 takes 61 images in 2 seconds – a second before and after pressing the shutter – so you can scroll back and forth to find the perfect image. This is for all those times you “missed a shot” coz you took out your smartphone too late, it’ll never happen again. 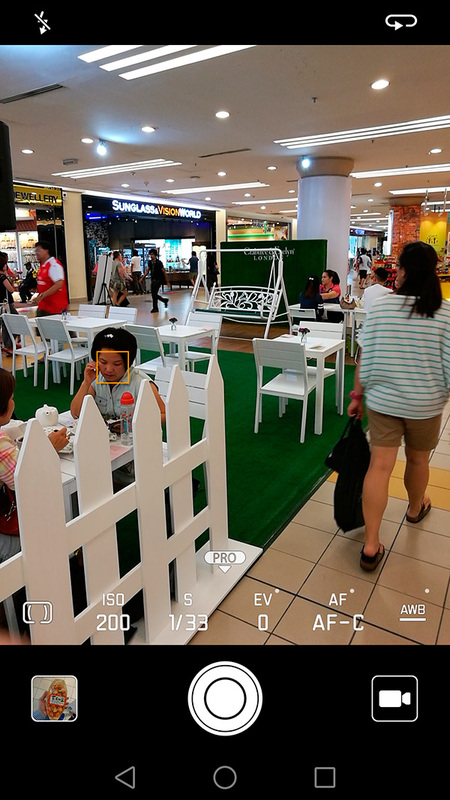 There’s also a range of overlays that automatically detects faces and people and creates pictures using augmented reality app. I’ll dedicate a post to the camera and video features of the device – there’s just too many awesome features to describe in a general review. 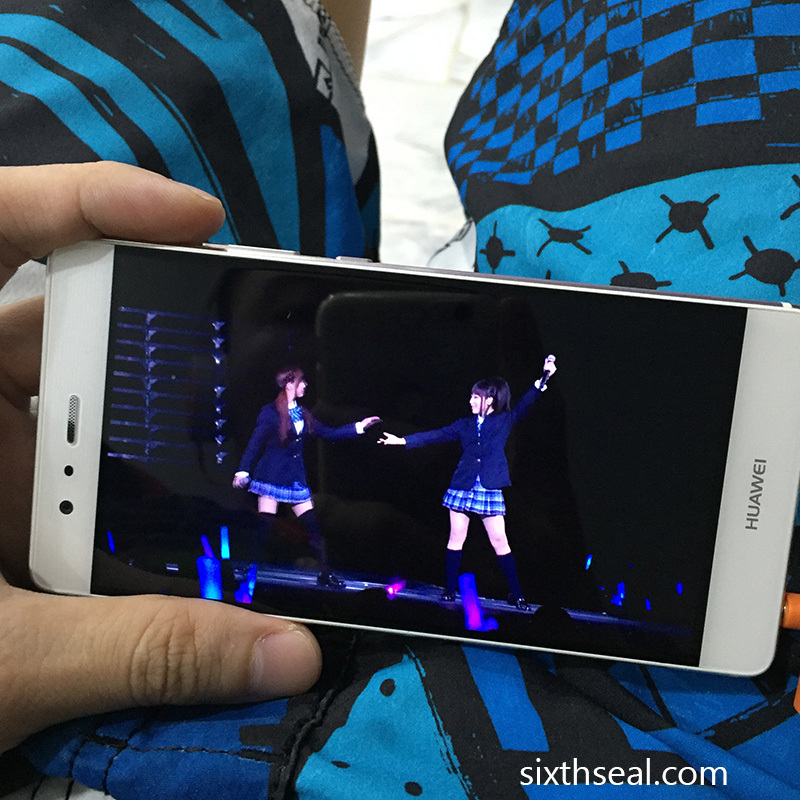 The Xperia Z1 also can shoot full 1080p HD video with stereo sound! The Xperia Z1 has the latest Sony BRAVIA™ technology optimized for mobile. The beautiful and rich 5” screen uses a Full HD TRILUMINOS™ display which results in vibrant and incredible viewing experience. It’s the best screen I’ve ever seen on a smartphone! 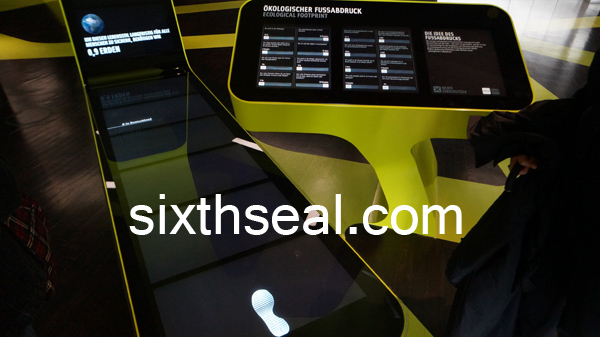 You can try it out at any Sony Center and be blown away at the crisp text and wide palate of natural colors. The Z1 also includes X-Reality™ for mobile and ClearAudio+™ for optimized video viewing. These are technologies usually found in their high range LCD TVs! The Xperia Z1 is powered by the Qualcomm Snapdragon 800 processor with 2.2 Ghz quad-core CPU and 4G LTE. It’s the first consumer smartphone to come up with this latest and super fast quad-core processor. The Qualcomm Snapdragon 800 features a GPU and dual ISP for incredible graphics and 3D performance – you’ll notice this if you play Unreal Engine based games on Android. Sony has also made changes to the stock version of Android and there’s four toggles in the notifications drop down that’s set to sound, Bluetooth, Wi-Fi, brightness and settings by default. Swiping to the right in the app drawer brings up a menu that allows you to sort apps and also uninstall apps – you no longer have to go to the exact page in Google Play to do that anymore. The Xperia Z1 also has 4 shortcuts at the main phone screen to reflect Sony’s concept for this phone- WALKMAN™, Album, Movies and PlayStation® Mobile. Yup, it’s an MP3 player, camera, video recorder and gaming device all rolled into one portable smartphone! It does all those tasks very well too – there is no lag or slowdown of any kind even with intensive widgets on the screen that pulls Facebook and other social media feeds, multiple tabs open on the default browser (Chrome) and it tackles the most graphically intense Unreal Engine games with ease. The 3000mAh battery performs well too – I can easily use the Xperia Z1 for a full day without having to recharge. That’s largely due to the highly effective Battery STAMINA Mode which uses a lot of useful tricks to preserve battery life. It shuts off certain apps when you’re not actively using them (you can customize this so that your favorite apps will run all the time) and turns off functions you don’t need until you wake up your screen again. The entire phone has a premium feel to it from the single piece of aluminium (which also acts as an antenna) surrounding the front and back tempered sheet glass. The Sony Xperia Z1 is a long rectangle shape with an impressive build quality. The On/Off button is now located on the right hand side in the middle instead of top right. All the buttons are placed right and the headphone jack is the lone item on the top which is perfectly situated to prevent snagging or accidental pressing of buttons while listening to an audio book in MP3 (which is what I do more than listen to music). The speakers produces surprisingly well-defined sound too. The Xperia Z1 weighs 170 grams which might seem a tad on the heavy side for people not used to it but I’m loving mine – it’s a high quality digital camera, gaming device, and smartphone in a sleek package that gets double takes. It not only looks good, it feels good too – and the fact that it’s also waterproof and shock and dust resistant is just icing on the cake. The Sony Xperia Z1 retails for RM 2,399 and if you purchase it now, you’ll get three months of free unlimited music streaming from Akazoo, a preloaded social media music app. This is valid from October till December 2013. You can also download six (6) movies (offer valid till 31st December) via Xperia Privilege app, which is also preloaded into the device. There’s a lot more to talk about but this is already way over 1,000 words so I’ll write more on the awesome 20.7 MP digital camera, 1080p Full HD video recording, nifty apps like Social Live and other apps. I’ll also do a special on underwater photography and my annual Chinese New Year fireworks and firecrackers roundup. I also have the SmartWatch 2, which is a NFC/Bluetooth watch that can sync via NFC to get Facebook updates and allows you to control your phone remotely from your wrist. 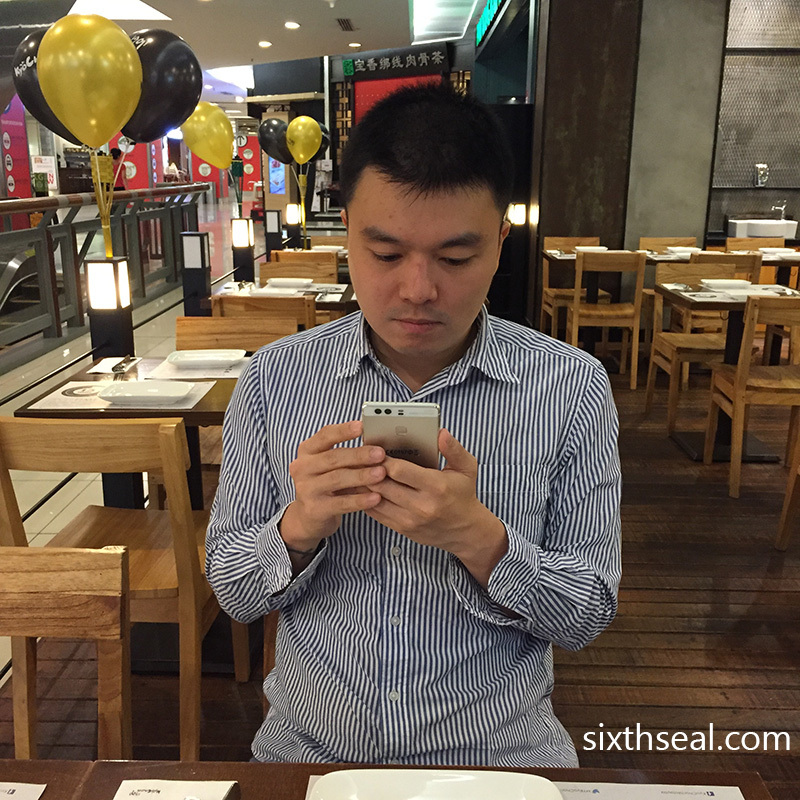 Check out the Sony Xperia Z1 experience! 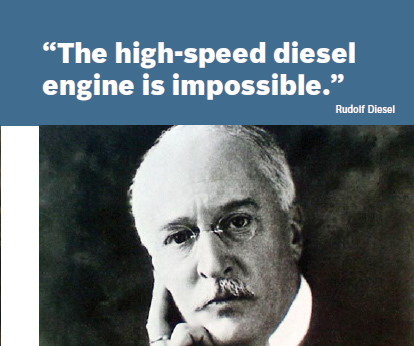 No one can be right all the time – not even the inventor of the diesel engine. This is one of the most common preconceptions and I must admit, I had the same thoughts myself not too long ago. You see, all the vehicles you associate with diesel – commercial trucks, lorries and such typically comes with an image of a loud automobile spewing lots of smoke and getting in your way. I was enlightened when I saw diesel cars in Australia, Singapore and Europe performing much better than their gasoline counterparts. 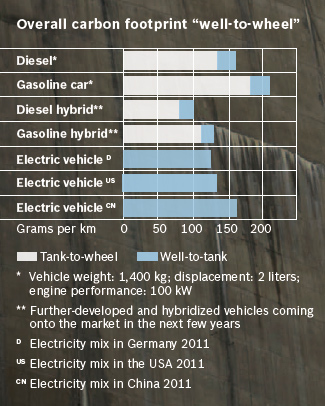 In fact, during my trip to Germany, I realized that a lot of people actually preferred diesel cars! The government subsidizes diesel here so it actually costs lower when you compare it to RON 95 gasoline. That’s even truer when you acknowledge the fact that diesel engines are much more efficient than gasoline engines. A diesel engine requires 30% less fuel than a comparable gasoline engine! Combined with the savings per litre, this will translate to *truly amazing mileage* when you drive a diesel car – just ask anyone driving one! You’ll get better fuel economy by a more efficient engine. The winners of the oldest and most well known sports car endurance racing event will beg to differ. Clean Diesel cars (equipped with Bosch diesel injection technology) have been the winners of 24 Hours of Le Mans for several consecutive years. Another diesel car won the 2008 Dakar Rally for the first time. Clean Diesel excels under the high demands of motor sports. Most German manufacturers have to voluntarily limit vehicles to 250 km/h though, which makes a lot of sense. You don’t want anyone to get carried away and drive in speeds in excess of that while feeling the powerful torque of a diesel engine. This used to be true in old lorries and tug boats, which are a familiar scene in Malaysia. However, that has not been true for a long time. A modern diesel engines actually emit very little smoke. I was surprised to see how little when I drove a diesel BMW 3 series a couple of years ago. It produces less smoke than a regular gasoline car! In fact, the wind noise of the Audi R15 TDI is often louder than the diesel engine so it’s almost impossible to hear the change of gear by ear, like they used to. The new environmental standards of Euro 4 and higher diesel has some surprising figures – a two-liter diesel engine would have to idle for 100 minutes before it generates as much fine particulates as one cigarette! The new Euro 4 and even higher rated Euro 5 standards in diesel make this statement totally untrue. Of course, combustion engines of both the gasoline and diesel variety isn’t exactly compatible with the environment. Bosch Clean Diesels emit about 25% less carbon dioxide (CO2) than a comparable gasoline engine. Compared with a typical diesel engine from the 1990’s – Clean Diesel’s emissions are more than 96% lower! It can meet the most stringent emission legislation worldwide, including in European countries like Germany! Bosch Clean Diesel has a really good chart that shows the total carbon footprint for a diesel car is actually on the same carbon footprint level as an electric vehicle. This is coz there’s a lot of factors to consider when calculating carbon footprint e.g. the production of electricity. A lot of people have understandable misconceptions about the diesel engine due to the lorries and trucks still operating from 20 years ago. However, a lot has changed since then. Malaysia is planning to switch to Euro 4 diesel (it is currently Euro 2) and with the free trade agreement kicking into place in 2015, it would be to Malaysia’s best interest to do it before then. 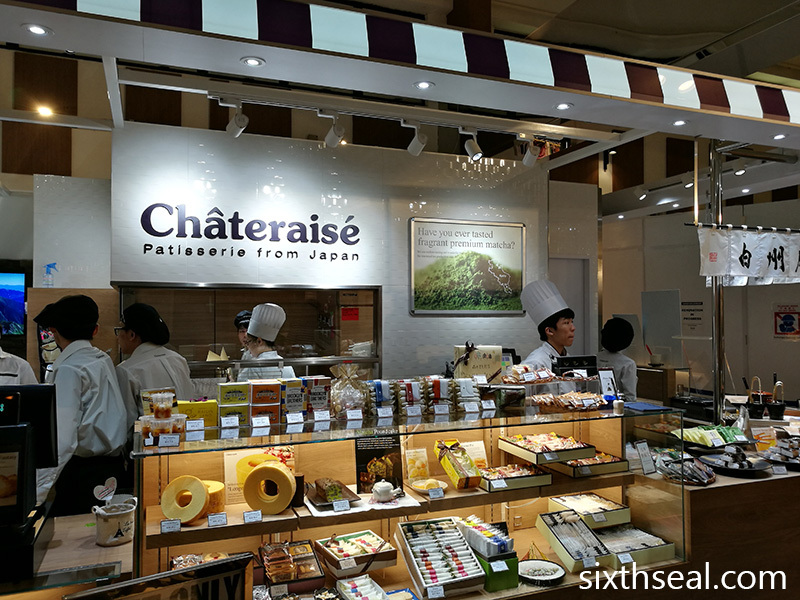 Singapore will have Euro 5 by then and Thailand will have already adopted Euro 4 and with Malaysia sandwiched in the middle, changing to the more environmentally friendly Euro 4 for compliance by then would seem very likely. 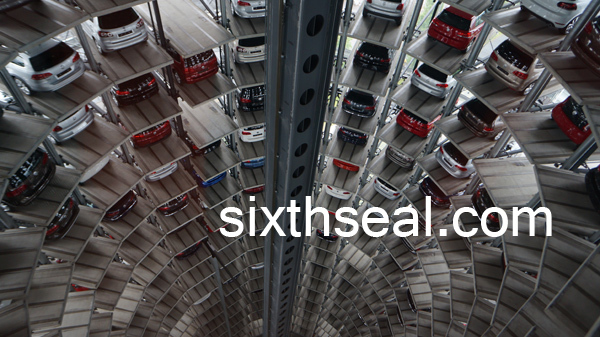 Interesting fact: More than 50% of new cars sold in Europe are diesel cars! For the end consumer, like you and me, getting a diesel vehicle is actually a pretty good choice due to the advantages it has over the gasoline engine. With electric vehicles realistically several decades away for all the infrastructure to make it possible to operate, the diesel engine is a pretty good bet. Find out more and get fun & interesting facts about Clean Diesel at the Bosch Malaysia Facebook page! Well, most of you know that I just got into a new relationship. I’ve been keeping it under wraps for a while since my girlfriend, in her infinite wisdom, doesn’t like publicity. I just recently revealed who it was during a trip to Melbourne about a week ago. 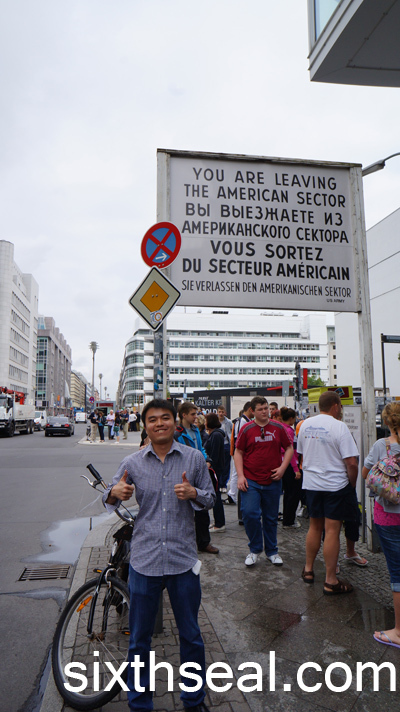 It was our first overseas trip together and it’s kinda how we got together. I like showering her with gifts – little ones that says “I love you” and lets her know that she’s always in my heart whenever and wherever I go. I do travel quite a bit – I went to Bali straight after that and we spent several days physically apart. It’s all good though, with communications the way it is nowadays, it’s always easy to keep in touch. 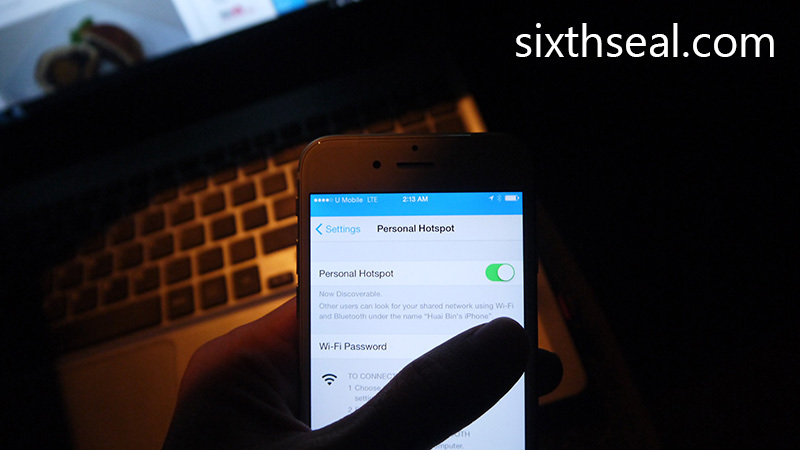 We’re the digital generation – with data roaming and WiFi connections, using Facebook or Whatsapp to message each other is easy. It’s always important to stay in touch – data has always made a lot of difference for us. I can send photos of what I’m doing to my girlfriend. I snapped a photo of something that means a lot to us (it’s an inside reference to our relationship) the moment I got off at Ngurah Rai Airport in Denpasar. Little things like this can make a lot of difference in a relationship. It shows that you’re constantly thinking of her. <3 I honestly would be hard-pressed to name disadvantages in the gift of data in a relationship…unless you’re cheating on your other half and is somewhere you’re not supposed to be – say, KL instead of overseas – and your GPS location settings on Facebook shows that. It’s all good, all the way for me. We actually got together thanks to Facebook and Whatsapp. It’s what made this relationship *possible* – how I noticed her and started chatting with her and finally made my feelings known to her. It was a big step coz I thought it would have alienated her but luckily it seemed that we were meant to be. Anyway, that’s my story. There’s another interesting around that’s doing the rounds on the net. I’m sure you’ve seen the Don’t Lose It All videos circulating around but in case you’re one of the few who hasn’t, you can view the previous short videos on that link. There are 3 episodes in the rather interesting love triangle of Amy, Nick and Joe. The most riveting part about this is that the audience (which is you and me) gets to choose the plot via voting! I won’t give out any spoilers here so go watch the videos if you haven’t already. The final episode is, as usual, chosen by votes – it was a close one between Nick & Amy and Amy & Joe…and guess who won? Fans of Nick & Amy rejoice! Here’s the final episode of the epic story as voted by you! It’s interactive, interesting and quite frankly, better than a lot of the other locally produced fare on air nowadays. Don’t ruin the ending if you haven’t watched the first 3 episodes – watch from the start! P/S – The storyline is a little like mine – couldn’t have done it without data. Haha! You can dial *128# to pick a data pack on Xpax and load up to stay in touch 24/7 with your loved one! Yup, I’ve installed Windows 8 to replace the Windows 7 Home Premium Edition I’m running on my main workhorse. I’ve upgraded my notebook several times in terms on hardware (RAM, HDD etc) and I’m always excited when a new OS comes out. Windows 8 Pro 64-bit (my notebook runs 64 bit natively, though there’s a 32-bit version of Windows 8) has a lot of things that I like and having spent a couple of weeks with it, I’ve managed to single out 8 features that I love. 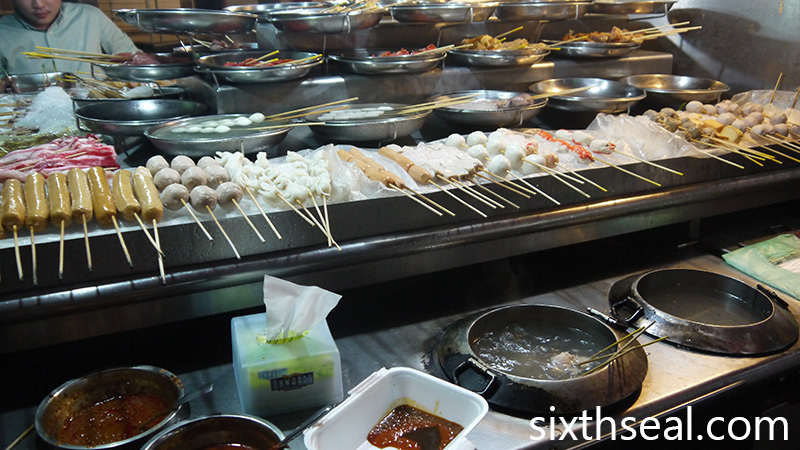 It’s hard to go with just 8 since there are a lot of new additions to enrich your experience. Some are essential and some are just stuff that are just plain fun. I write a lot, love to travel and have been blogging since April 2002 so I’ll keep my experiences on that personal level. This is the much anticipated feature (in addition to Live Tiles) of Windows 8 and it takes some getting used to, but there’s no going back after that. This displays my most commonly used apps and I can see various messages flood in via Live Tiles in the People and Messaging apps, which I use the most. This way, I just have to synchronize my email, Facebook, Twitter, IM clients and it’ll all be integrated into one place. I like to travel pretty randomly (without any plans and flying by the seat of my pants) and this feature allows me to just see what’s going on in Travel, check the Wikipedia app (stating local customs and faux pas e.g. not eating the doughy tops of khinkali, a type of Georgian dumpling and also pronunciation), pull out Internet Explorer 10 for bus/train schedules and all that while talking to people who’re there so I can maybe couchsurf. That’s taking “keeping in touch” to a whole new level. I love this feature coz it’s perfect for lazy people like me. Heh. Just type anything directly from the Start Screen and it’ll appear. I typed “Sky” in this case and SkyDrive pops up as one of the features so I don’t have to go rooting about for it. It’s really a time saver. I can also expand the search to various areas (which is customizable) for it to trawl anything from Windows Store to the entire Internet. Nifty, this one, and handy for finding facts online by just starting to type on the Start Screen. This is a godsend for blogging! Just hover your mouse to the left and out pops a list of currently running apps. You can actually drag one of those apps out so you have two apps on your screen. 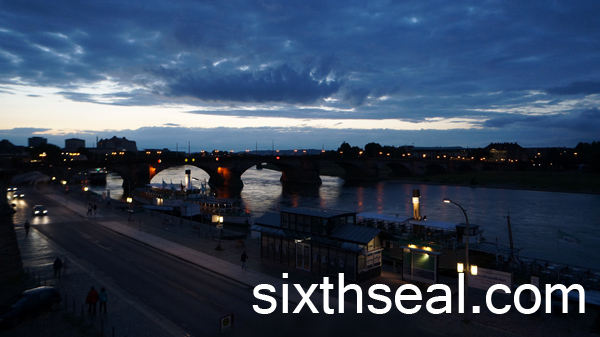 This can be resized as you wish so I can dedicate 3/4 of my screen to Photoshop for photo editing and the other 1/4 to WordPress on IE 10 to add the photos to my blog or reply comments. This is just amazing and it’s how I took most of the screenshots you see in this post. Windows 8 nullifies the need for external apps or the old method of Alt+Print Screen -> Open Paint -> Ctrl+V to take and paste a screenshot. Now I just have to press Win+Print Screen. This is one of the things which I’ll put under fun to use. Heh. You can choose your best vacation/clubbing/adventure photos as a Picture Password and draw gestures around it to enter your computer. It not only acts as a password, it also shows my favorite photo while I’m logged out. You can download a lot of free and paid games and apps in here – anything from Angry Birds to Wikipedia. I also found a fun and free game called Ball Strike when I was in Singapore courtesy of Jim Saret (of Biggest Loser Philippines fame). It just requires a Windows 8 device with a camera – which is common enough, even my older notebook has a built-in webcam. This is an augmented reality game that gives me a bit of exercise while I’m at home. I can see it being a hugely popular house party game too. Heh. …to instant share which I use to quickly share travel itinerary PDFs, photos and such via Tweetro (a Twitter client) or email. It’s awesome and you just have to go to the right of the screen to activate it. I have personal experience of having my camera stolen while travelling before – all my photos from the trip were lost! 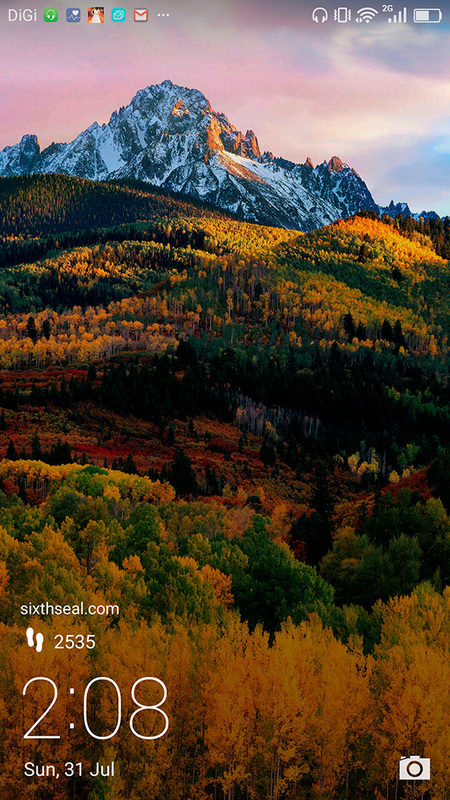 Integration with SkyDrive, especially for my photo backups, is essential to me. The cloud-connectivity that Skydrive offers is wonderful because I like to travel in places that are not necessarily tourist friendly. I’ve also had my HDD crash two times before – and some of my precious photos were lost forever! Now with SkyDrive, I’ll make it a point to do auto backups when I’m done for the day and leave it uploading while I sleep. It works beautifully for documents too e.g. the blog posts that I write every day. You know how important photos are to travellers and bloggers – it’s a pictorial chronological memory for me and I can’t stand losing it. Do I need Windows RT, Windows 8 or Windows 8 Pro? Here’s a chart to help you decide. Windows RT is for people who wants a tablet-style easy to use OS where you don’t need new and existing Windows desktop software to work. It’s great with tablets and PCs where you want a user friendly experience – the new Start Screen is where you work from and all apps comes from Windows Store. As an added bonus, it comes with Office Home & Student 2013 Preview! 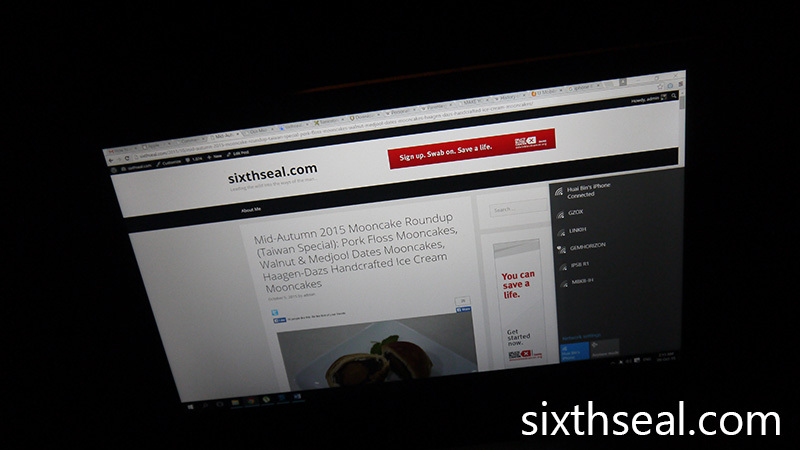 Windows 8 is what most casual users will need – you’ll get all the new features in the Start Screen (actually all of the versions do) but you don’t have to work exclusively with Windows Store apps. The only thing you’ll miss out on is BitLocker. You can still use new and existing Windows desktop software as well as the apps from Windows Store – it’s the best of both worlds! Windows 8 Pro is basically Windows 8 for power users or enterprise users. 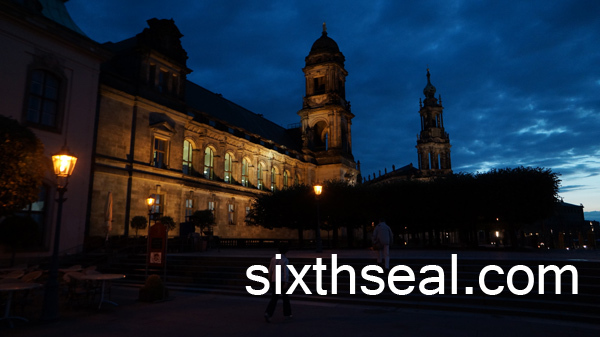 You get all the functionality in Windows 8 (like existing and new Windows Desktop software compatibility) and BitLocker for data protection as well as a host of networking features like Domain Join and Remote Desktop Connection. If you’ve bought Windows 7 PC from June 2 onwards, you can upgrade to Windows 8 for just USD 14.99 (RM 49.92). Login to www.windowsupgradeoffer.com (yes, this is a real Microsoft link, not some dodgy website) for more details. Otherwise, if you have a PC and would like to install or upgrade to Windows 8, you can purchase it at USD 39.99 (RM 122). Login to windows.my for more details. Of course, there were models there too. Windows 8 powered devices, not girls, although they had that as well. Heh. There was this really good group that kicked off the Microsoft Windows 8 launch in Malaysia – they had a very vigorous and visually exciting skit that incorporates elements of classic Windows alerts. You know, the default sounds it makes during various operation like the distinctive “Ding!” you hear when you’re trying to click somewhere other than a mandatory notification that demands your attention before moving on. It’s all of that combined into a dance and skit routine (which includes the aforementioned Angry Birds parody where they launched chairs into bunkered “pigs”) that made it one of the best launch gimmicks I’ve ever seen! 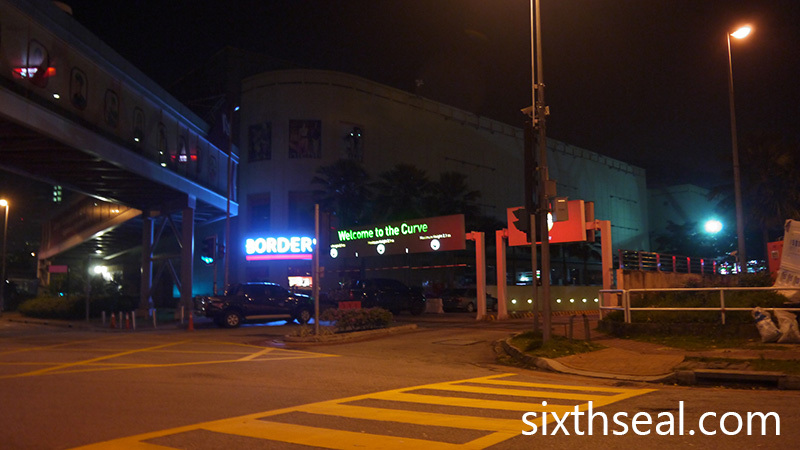 The Microsoft Windows 8 launch was held at Low Yat Plaza on the 29th October. The Managing Director of Microsoft Malaysia – Mr Ananth Lazarus (guy with the blue shirt in the middle) came on stage to describe Windows 8 in detail. I was quite impressed! There are a lot of features that are in the latest iteration of Windows. I’ve been using it since Windows 3.11 (which had to be booted up from MS-DOS 6.22) and gone through every single update ever since. This is the first time that there was a huge and noticeable difference – Windows 8 has evolved so far from Windows 7 as to be unrecognizable. There were demonstrations on the new Start Screen, Picture Password, Charms bar and other touch-friendly implementations which most of the new devices were made for. I’ll personally say that Windows 8 is best experienced with a touch-capable device and all of the new ones coming out have that feature, fitting into every niche and blurring the distinction between smartphones, tablets, notebooks and even smart TV screens! Complete social media integration is now done with emphasis on shortcuts and user friendliness. I’ll describe this more in detail in another post, it’s awesome! There’s also Live Tiles, which appear on the new Start Screen and updates it constantly so everything can be viewed at a single glance. 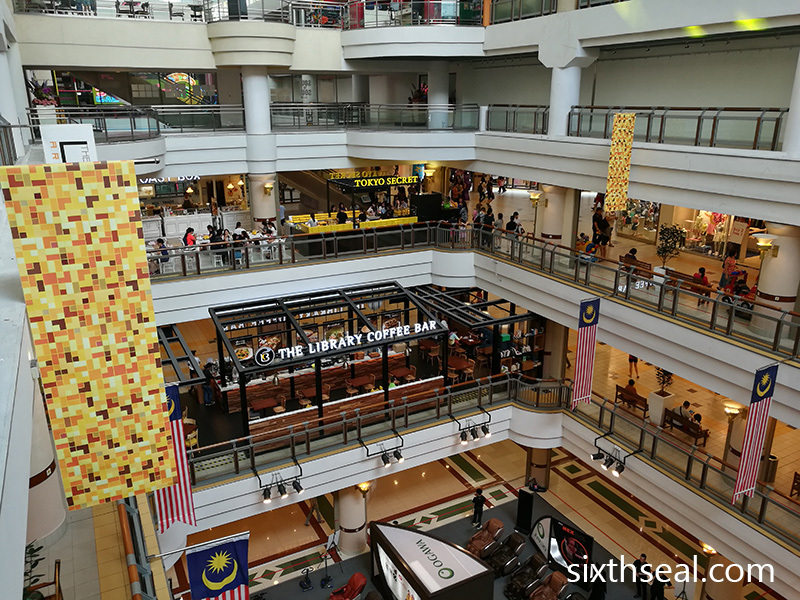 However, the Microsoft Windows 8 Malaysia launch is first and foremost to introduce the new concepts and features of the operating system. There were refreshments galore and a chance to play with the new devices. I had my hands on one of them – there are various designs out there, from standard tablets to a more enterprise minded slider design with a physical keyboard. Some of the latter can be even detached into two (!!! ), creating two separate and different devices, both capable of running on their own and with dual batteries. Noh (of local band Hujan) and Nina (of Mizz Nina fame) also announced their upcoming show called Passion8 which will be aired on 8TV. Congratulations to Microsoft Malaysia for a great launch event for Windows 8! The capabilities of the new OS is really impressive. This isn’t the Windows of old, I can really foresee Windows 8 being the dominant OS in not just traditional PC/notebooks but also tablets, smartphones and other devices which defies categorization, being as unique as they are. …which includes donuts with marzipan (I think) Windows 8 logos which are obviously edible. I had two.